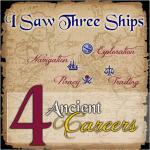 Biography: Creators Hexameter and Billie Lith teaming up for a project of Ancient Careers for your sims! Location: Canada for one, Germany for the other. :P Interests: Sims 2, ... Occupation: One was a teacher. The other was a quality-control verificator of financial documents.